DGO DGO | Disaster prep in the Southwest: Are end times just around the corner? Disaster prep in the Southwest: Are end times just around the corner? Are these preppers right? Are end times just around the corner? 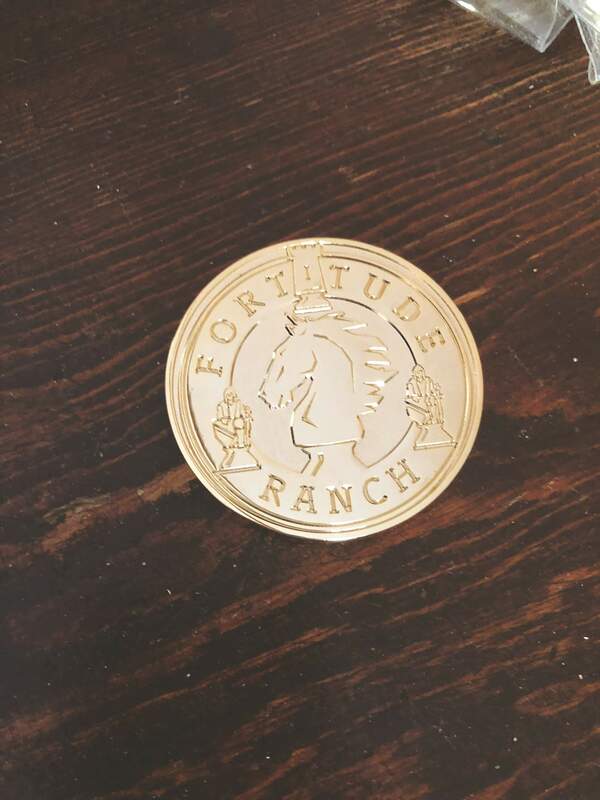 A new kind of currency -- Fortitude Ranch cryptocurrency -- which will become the official currency of the ranch. 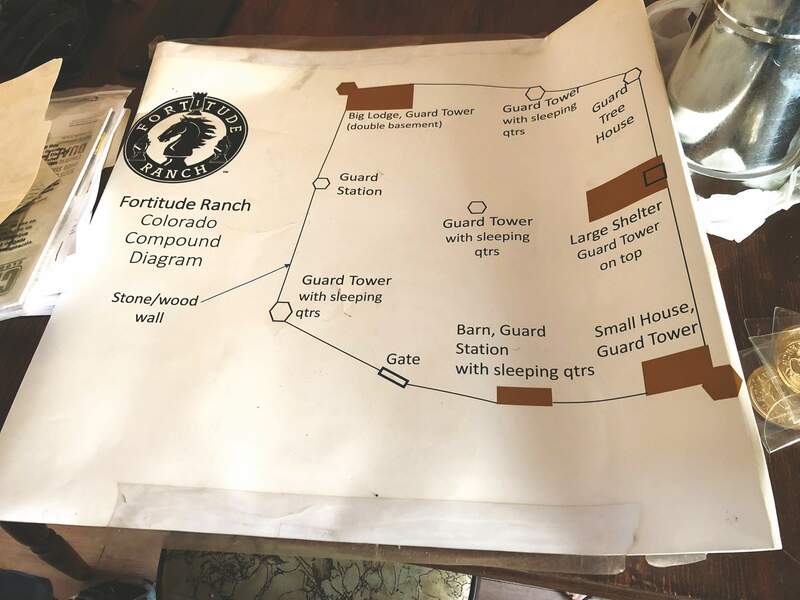 Plans for the construction at Fortitude Ranch, a prepper property where interested or concerned citizens can purchase shares of the bunkers. 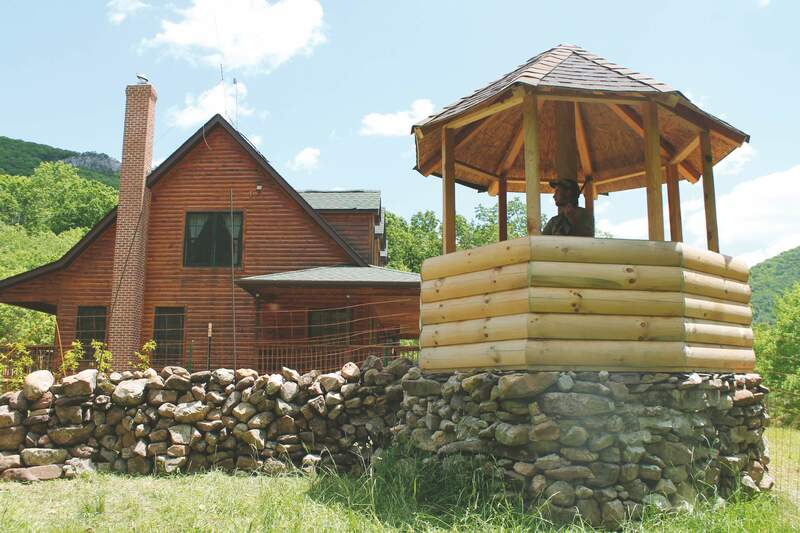 A view of one level of a guard tower at Fortitude Ranch. 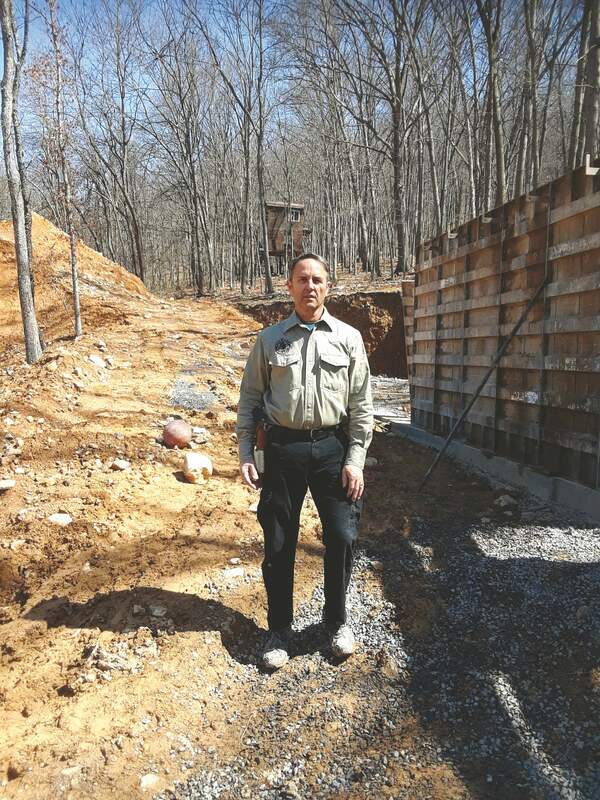 The property is under construction, but when it’s finished, there will be two guard towers with 360 degree views. Drew Miller at his West Virginia Fortitude Ranch location. Miller hopes to one day have 12 sites across the country. A gazebo guard station and compound wall at Drew Miller’s West Virginia Fortitude Ranch location. 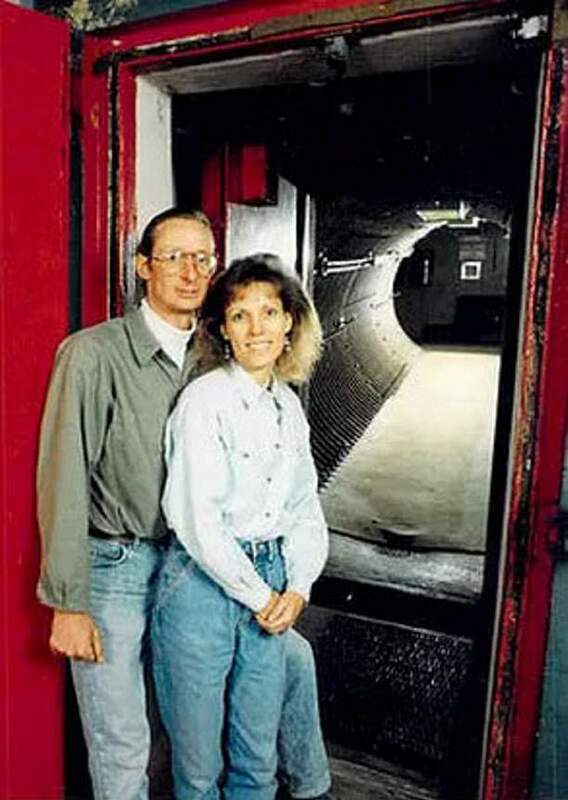 Edward Peden and Dianna Ricke-Peden have lived in a decommissioned Atlas E missile base outside Topeka, Kansas since 1994. Atlas E was built in 1959 and deactivated in 1964. It has 18-inch-thick concrete walls and an 8-foot tall steel and barbed-wire perimeter fence with security cameras. The Peden’s Atlas E circa 2012. The site was built by the Department of Defense and cost millions of dollars. Google Maps will take you most of the way to Drew Miller’s latest Fortitude Ranch, but not quite all the way there. We were trying to track this place down for our story, and per Miller’s instructions, we approached the pinpoint that Google had guided us to, and then took another turn down a steep dirt road and before disappearing off the screen’s tracking system. We were truly off the grid in central Colorado, just like Miller likes his prepper refuge sites to be. Prepping for the worst of times is nothing new. Some sources point to as far back as the Cold War Era, when tensions were high with what was then the Soviet Union, and some even further back, to when prepping really picked up speed in America. Schoolchildren were trained to duck and cover under their desks in case of nuclear attack. People started building fallout shelters. 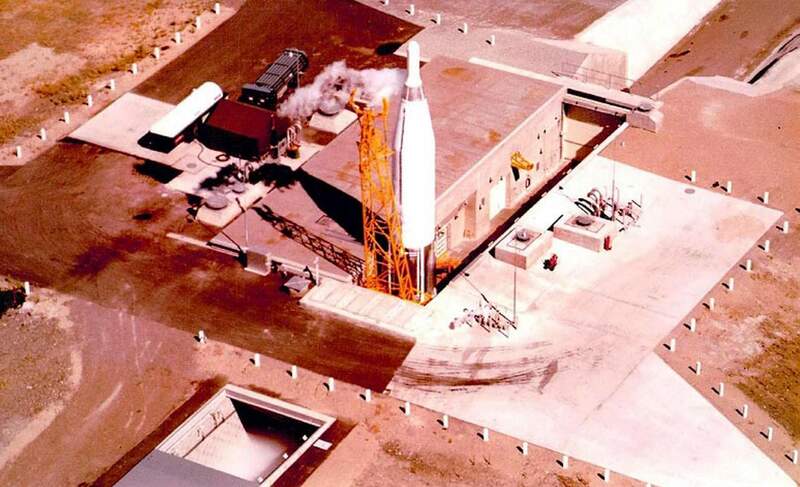 Nuclear missile sites were constructed across the country. Today, decades later, one could argue not much has changed. People are still afraid of issues with North Korea and Russia, and global warming and steep overpopulation have also creeped into news headlines. 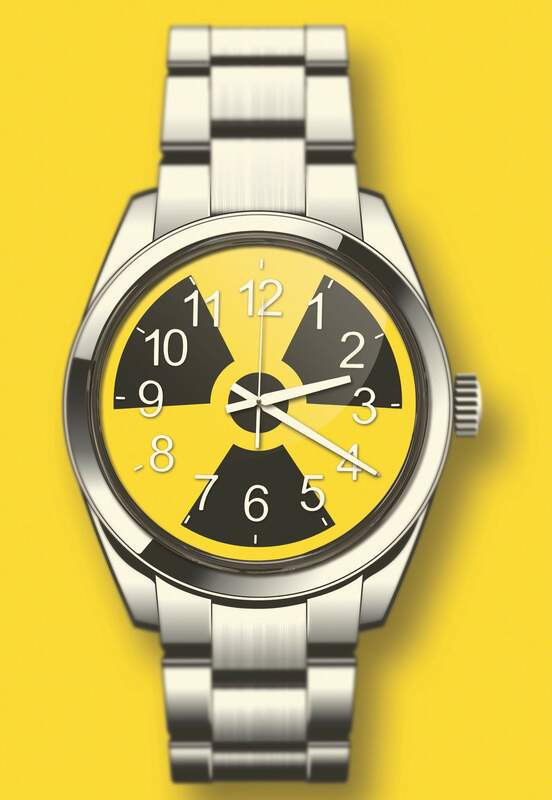 Fears for the future range from pandemics and governmental and financial collapse to nuclear detonation, depending on who you ask. People are stocking up on canned and dehydrated food, learning self-defense, stashing cash, and coming up with escape plans for when things go even more downhill. The Pedens have sold old missile bases, communication bunkers, and underground properties across the country for more than two decades. Their business, 20th Century Castles, has even offered up locations near Cortez. Fortitude RanchMiller, the CEO of Fortitude Ranch, is always on the lookout for danger. Don’t call him a doomsday prepper, though. Miller finds the term derogatory toward those he believes are just being smart about the future. He has special contempt for the National Geographic show “Doomsday Preppers” for their portrayal of preppers. “The first rule of prepping is, don’t tell anyone you’re a prepper. That’s the standard school, and the reason you don’t is two reasons. One, because if you’re a prepper and your neighbor is not, they’re all going to come bothering you when there’s a disaster – begging for your food or worse, breaking into your house. The second reason you don’t tell people you’re a prepper is that stupid TV show,” Miller said. TV shows like “Doomsday Prepper” make survivalists look like nutcases for entertainment, Miller said, when most of the people that he knows who prep are intelligent, normal people. “Most of our members own their businesses. They’re professionals. They’re former military. Some of them are active intelligence officers still serving. They’re not going to tell you they’re a prepper. ... “Doomsday Prepper” is a gross distortion of who preppers are. Preppers are smarter than average, more wealthy than average, and, you know, they’re just being careful,” Miller said. Miller’s business, Fortitude Ranch, isn’t just in Colorado, though. It’s a network of survival sites across the country. These locations are meant to house and protect survival communities if ever things go sideways, and also act as recreational facilities for people to vacation at when things are copacetic. Miller is protective of the specific locations of the sites, preferring to keep their whereabouts vague. His first completed site is located in West Virginia. 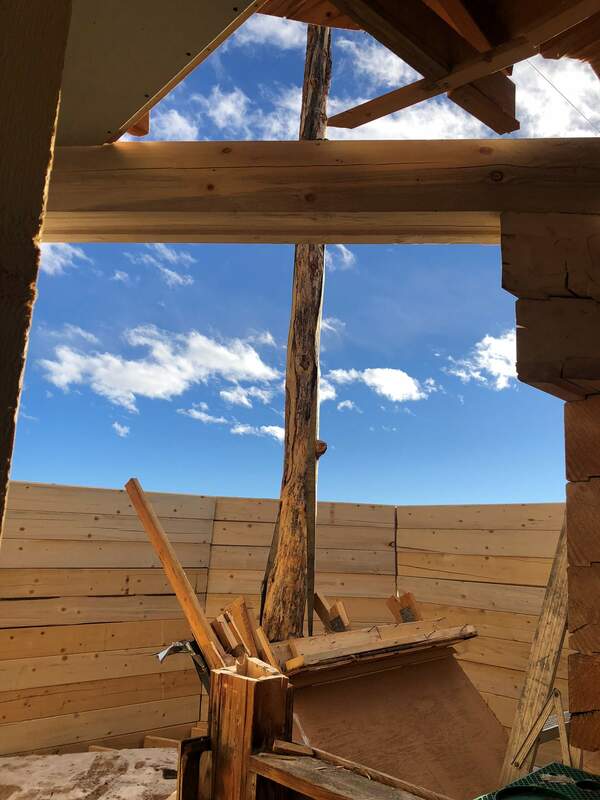 He recently began building his second site amongst the central Colorado mountains. His goal is to eventually build 12 Fortitude Ranch sites across the country. He’s already looking at sites in Nevada and Wisconsin as his next targets. To join Fortitude Ranch, interested parties must purchase a membership. When things begin to fall apart, it’ll be important to have numbers, Miller said. “We say you need at least fifty people so we can have a lot of guards on duty at night. Our guard stations are designed so that each guard can see the guard at the next station,” Miller said. As opposed to many prepper sites, Fortitude Ranch is a refuge for the middle class, Miller said. Indeed, many survival hideouts, particularly bunkers, can dip into the millions as far as price goes. The Pedens’ Subterra is currently on the market for more than $3 million. These bunkers have all kinds of amenities, from pools to toilets for their pets. “It’s just wonderful, but it costs you $1.5 million to buy a small condo, and then you got to pay your condo fees on top of that. So the super rich either build their own little bunker or they join Survival Condo. Ours is the only model that exists that the middle class can afford,” Miller said. Miller’s planning goes beyond just stocking up on food and building guard towers, though. Once people are in close quarters for long periods of time, social dynamics must be considered, though Miller believes those who are serious about survival will look past their differences and work together for the good of the group. “First of all, we got staff to settle disputes. We set the rules. No one’s getting voted off the island. You don’t have to worry about that kind of nonsense, and we’ll take care of problems. But by and large, I tell people I don’t think there’s going to be problems. There’s a big difference between if it’s a club and people are coming out and they’re fighting over radiation detectors. The real emergency people are going to realize, ‘Hey, I got to make this work,’” Miller said. 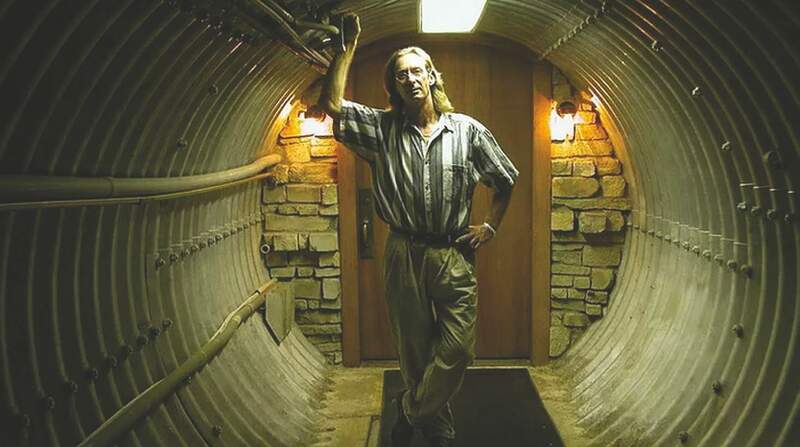 We all live underground“I’m speaking to you from underground here in Kansas in a million dollar – well, it was a multi-million dollar Atlas E missile site back in the 1960s. We have a very interesting little home that we totally enjoy,” Peden said in a phone call from his Midwest bunker. He and his wife moved into their unique home in 1994; they bought the property about 35 years ago, while Ronald Reagan was president and the possibility of nuclear war and the safety of his wife and two daughters was at the front of Peden’s mind. Built in 1959, the Atlas E Missile Site was active during the Cuban Missile Crisis of 1962 and was decommissioned in 1964. If you look through the photos on Subterra’s website, the cozy residence makes it hard to imagine the mess that Edward and his family were faced with when they first purchased their home. It took about ten years to clean up the bunker on a shoestring budget. Now, the property, which sits on 34 acres of land, boasts a half-mile paved driveway, an 8-foot security fence, two observation towers, garden spaces, an 11,000 square-foot underground shop, a 2,000 square-foot living space, and four bedrooms, along with many other amenities. Eventually, Edward and Dianna started their real estate business and began selling missile sites across the country. Now, how, pray tell, you may ask, does one get into the business of selling properties like that? Twenty-four years ago, Peden said he started making phone calls after coming across a book called, “From Snark to Peacekeeper,” about missiles and missile sites. The book contained the locations of missile bases across the country, so Peden started calling the counties where they were located to find out the names and addresses of the owners of the sites that had been decommissioned. Since then, the couple sold properties all over the country, from Maine to Roswell, New Mexico, and just about everywhere in between. “I’m a very simple guy. I have a degree in history and I taught secondary school for years. But to be able to just track down these rare multi-million-dollar historic properties, and to be able to market them and sell them, has just been unbelievably good fortune,” Peden said. Now that he’s 71 years old, however, Peden isn’t as concerned as he used to be for himself. “Except I worry for my children and grandchildren and the future of the country,” he said. Though he has a lot of concerns about President Donald Trump at the helm, Peden and his wife are ready to move back up to the surface. 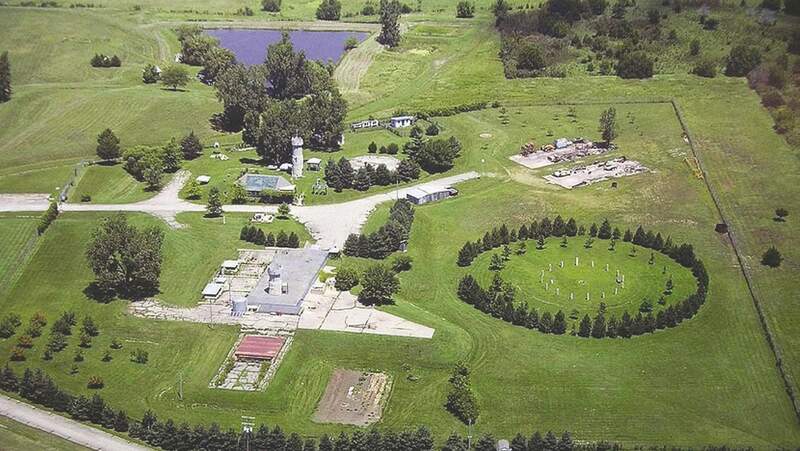 They are looking to sell Subterra, which is on the market for more than $3 million.